A lovely detached villa with 17m pool and Jacuzzi hot tub, pool heating available. Villa La Fuente is in a perfect location and has everything required to make anybody's holiday perfect. Everything about the whole experience, from booking to departure was easy and well organised. We would definitely use Solmar again and we will certainly be returning to this villa in the future. Lovely spacious villa. Great facilities and well equipped, Kids took advantage of the hot tub. Villa is in a nice area, 25 mins or so from the main strip. Only €2-3 euros in a taxi or a nice walk. 10 mins walk to Lidl. The villa was spacious with a great view from the front balcony (this gets the sun in the morning) and large, private patio area with a good sized heated pool. The villa is in a very quiet part of Puerto del Carmen, which we all appreciated, but still within 10 minutes walking distance of the harbour (old town). Rated Excellent. Cannot fault them. Lovely villa. We have Stayed there a few times. clean and very comfortable. very private and quiet but not too far from the shops bars and restaurants. We had a very quiet and relaxing holiday. 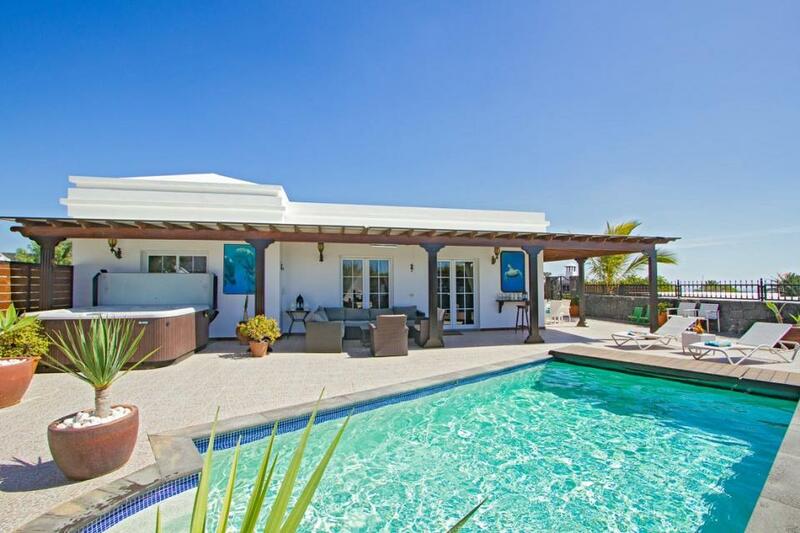 Villa in a lovely area of Puerto del Carmen within easy reach of local facilities. Nice villa which has all the amenities required for a good stay; it's in a good location for bars, restaurants and shops. 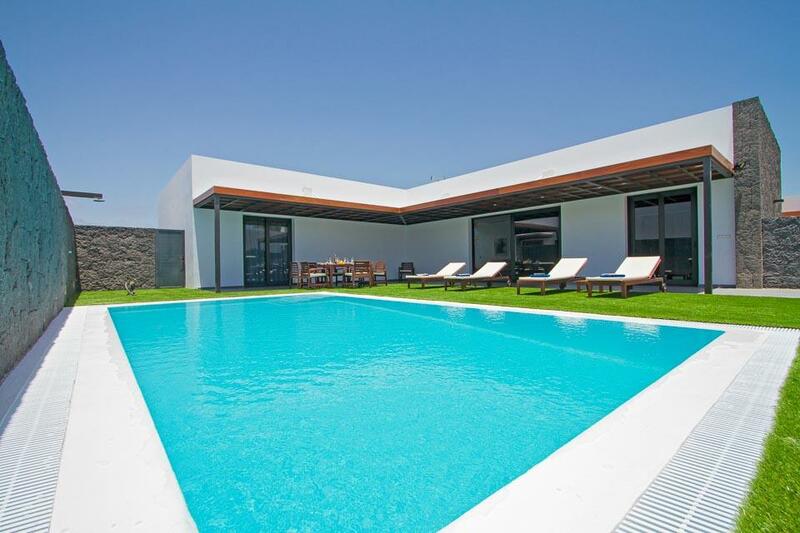 Spacious villa with four bedrooms two of which has en-suite facilities plus a family bathroom. 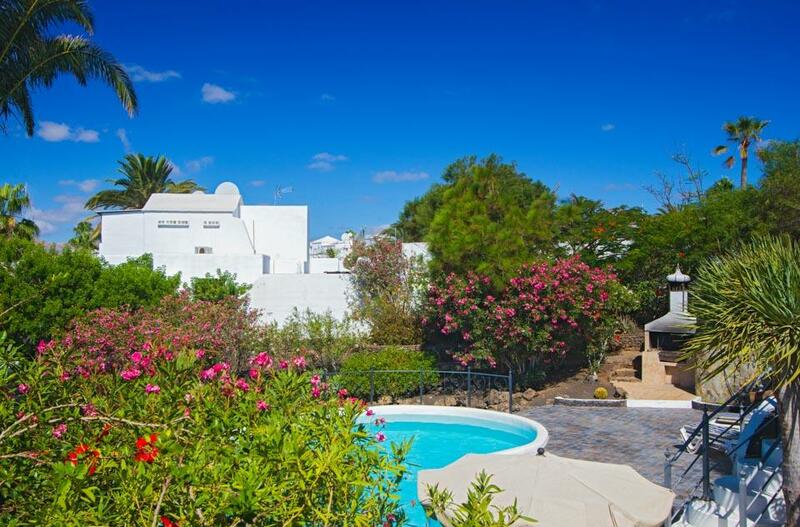 The Villa was some 800 metres from the main road into the port of Puerto Del Carmen which ensured that it was in a quiet location. We enjoyed our villa stay, the villa was clean spacious & had everything we needed. Villa was massive and had absolutely everything you need for a great stay. The hot tub is a lovely bonus for the chillier January weather. The pool heating doesn't do a lot at this time of year but that's due to the pool being so big which isn't such a bad thing. Villa was spotless and had amazing views on the terrace off the kitchen. Lovely big villa, with a huge pool. Close enough to both the beach and the harbour to walk. Great quiet location, but only a 10-15 min walk to shops and bars if you wished. Villa a great size if you had a large party of people, and good value. The villa was nice and the resort had many bars and restaurants. Lovely sized villa, with a stunning pool, hot tub was an evening session when the weather had cooled slightly. Very close to shops where you could buy all a good selection of groceries. The local marina of Purto del carman had some very good restaurants. The villa had everything we needed although somethings were in need of an update. Our house manager Paco was on hand twice a week and sorted out any problems. Would recommend this villa to any family. 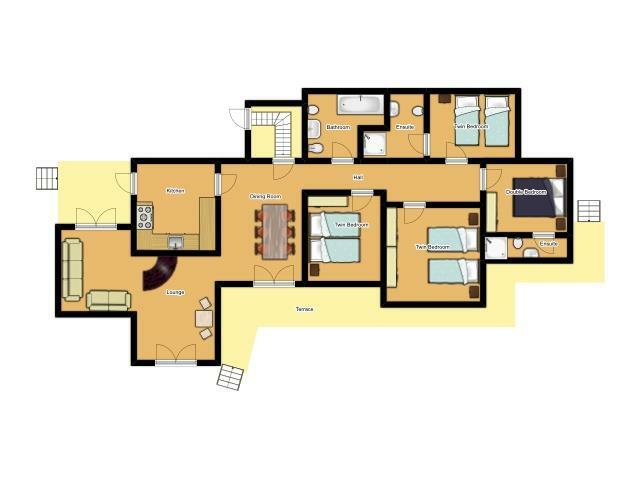 The villa was perfect very spacious, clean excellent location. We loved it. Good villa, a few minor issues that need resolving but mostly a great holiday! Rated: Good. Good villa, a few minor issues that need resolving but mostly a great holiday! Villa really nice but at the top of the hill that said we did not mind at all. The villa can do will some small maintanece but generally in nice condition. Enjoyed ourselves. Rated: Excellent. Villa really nice but at the top of the hill that said we did not mind at all. Enjoyed ourselves. Rated: Excellent. The villa La Fuente was big, modern, Clean, light and airy. It met all our needs. Maids made sure we had change of clean sheets and towels......The pool was HUGE....and well maintained by Paco.....when we were looking to book Fuente.....there were some negative comments.....so glad we ignored them because Fuente is a Safe, peaceful place to stay if you want relaxation....The shops and resorts are just a 15 minute walk away...with wonderful choice of Restaurants in The Old Town.We will deffo be returning to this very special Villa.....HIGHLY RECOMMENDED. We had a lovely break. We arrived to find a beatiful, tastefully decorated, large spacious villa in a private secluded setting, close enought to the harbour and the shops yet away from the bustle and noise nearby. Rated: Good We had a lovely break. We arrived to find a beautiful, tastefully decorated, large spacious villa in a private secluded setting, close enought to the harbour and the shops yet away from the bustle and noise nearby. Villa in excellent location, very spacious and well set out. Just had an issue with hot water in first couple of days and heated swimming pool did not work, so pool was unusable as it was too cold! (went in April) Overall, an excellent holiday though. Rated: Good. Villa in excellent location, very spacious and well set out. Rated Excellent. Gave us exactly what we wanted. Amazing place to stay and would recommend to all. Excellent. A fabulous villa in a lovely, quiet location, the jacuzzi was a great bonus too! Would definitely stay here again when I next return. Had a great time and we found the villa brilliant. The owner Christine and team were excellent and very efficient with anything we needed. We would highly recommend this villa to anyone. I'd rate my overall experience for this villa as: Excellent. We had a wonderful holiday at this villa, private yet close to all amenities. Spotlessly clean, all our needs catered to. Large pool. Very spacious. Would love to go there again. Thank you Solmar. Before leaving for our holidays we were very wary of this property as the only reviews we could find were bad ! We are so happy we didn't change our minds as this villa is even more fantastic than it looks in the pics ! 6 adults and 3 babies were in our party and this place catered for all of our tastes ! It really did make our holiday brilliant and when we return to Lanzarote we will definitely be looking to book it again! Thanks to Christina and Justina they were are on hand whenever needed and were with you like a flash if any problems arose !! Loved it , thanks. Just a few lines to say how much we enjoyed our week in Lanzarote at Villa Fuente. The villa was just what we were looking for in that in was near to the town and harbour, yet designed to feel secluded and without being overlooked. A big thank you to all your team at Solmar Villas who helped make our holiday so memorable. The villa was just what we were looking for and I can recommend your company to any discerning villa with pool renter.We will certainly use you again. Just wanted to let you know that our family had a great time at the Villa. After two great holidays (with Solmar) in Menorca, we decided to try somewhere new this year and settled on Lanzarote. All arrangements were handled smoothly. The transfer was on time, no problems at all. The villa was clean, modern and very spacious and well equipped with all essential appliances. One very welcome touch was the huge amount of clean towels supplied ! A great villa, in a great resort on a fascinating island. The photos and description on the web site don't do this villa justice, It was was even bigger and better than we thought it would be. Two sitting areas (1 for the kids and 1 for the adults) and all the bedrooms were large and spacious. We couldnt fault the Villa at all. On the whole however a fab holiday! If a good location, fully air-conditioned villa stylishly furnished to a high standard, a spacious pool terrace and garden with stunning Pebble Tec swimming pool with electric pool cover & outdoor hot tub are all on your essential villa features list,..
An extremely contemporary and stylish four bedroom villa featuring a larger than average private heated swimming pool, ideally located in the Los Mojones area of the favourable resort of Puerto Del Carmen. 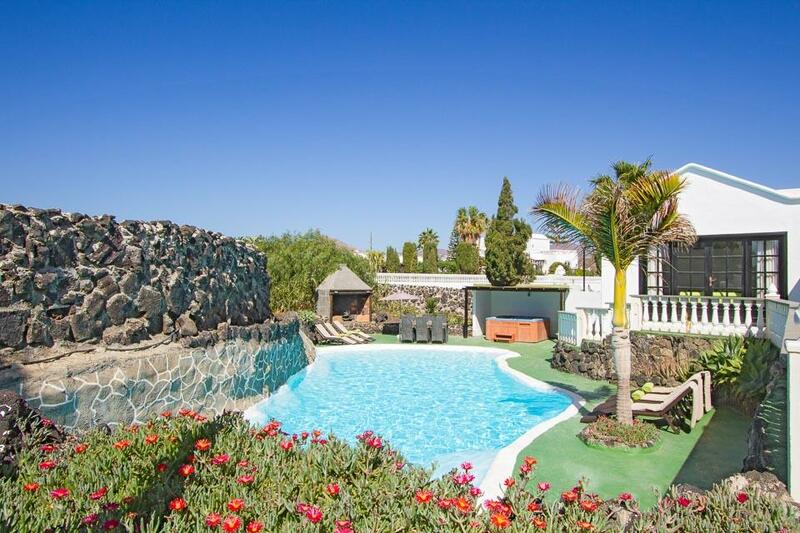 Villa Angelina comprises of a spacious lounge/diner,..
Villa Cilla is a delightful villa, located less than a 15 minute stroll from the lively and popular beach resort of Puerto del Carmen. Positioned in a privileged elevated plot, the views from here are truly outstanding, we envisage that many a day and..